Repainting your own home, even when it involves an extensive renovation, may be something you generally consider a do-it-yourself project. This is true for many home owners, and it’s understandable, especially if you’ve acquired the necessary tools and skills to do this well. Besides the potential savings involved, these projects provide opportunities to pass those skills on to younger generations in very practical ways. However, if your home was built before 1978, the costs may outweigh the returns, because federal law requires EPA certified contractors when repainting and renovating homes which contain lead based paint. The hazards are real and so is the law. If repainting and renovating your house will disturb old layers of lead paint, you should not approach this as a do-it-yourself project. According to well-informed estimates, 24 million homes in the U.S. are still in need of lead paint removal. Concerned homeowners should check for lead based paint disclosure in the documents provided when they purchase their properties. Some exceptions for EPA rules do exist, but these apply only to homes for which existing documentation proves lead removal has already been performed in accordance with current standards. In 1978, lead paint was discontinued in the United States, when Federal law banned its use. This was followed by British law outlawing lead paint in 1992. Since then, lead paint has been outlawed in many other nations around the world. Among the causes for concern with lead is its tendency to accumulate in human tissues. 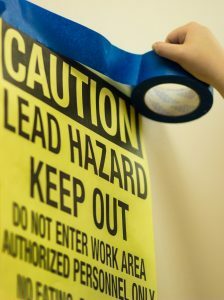 Like mercury and other heavy metals, lead is absorbed by the body more easily than it is eliminated. For many, this has resulted in a gradual buildup of lead compounds, until troubling symptoms began to occur. This has happened because lead compounds, like those which were once common in paint and gasoline, were in use for many years, and gradually dispersed throughout our environment, affecting soil, water, and air. This is still evident today in roadside soil samples, and samples taken from soil around older homes, although lead additives in paint and gasoline were discontinued decades ago. There are particular concerns with the effects of lead in young children, because it can cause irreversible brain and nervous system damage (including lowered IQ) when paint chips are ingested, or when the air they breathe is poisoned by central air systems contaminated when lead paint layers were disturbed. Besides having an impact on brain development, symptoms in children can include impaired hearing, stunted growth, attention deficit, and behavioral problems. In adults, lead poisoning can lead to a variety of problems, including reproductive and nervous system disorders. Some of the more common adult symptoms include headaches, kidney damage, problems with mental processing, and memory loss. Higher levels of lead poisoning can cause tremors in the hands and fingers, joint pain, stomach cramps, and general weakness in hands, wrists, and ankles. 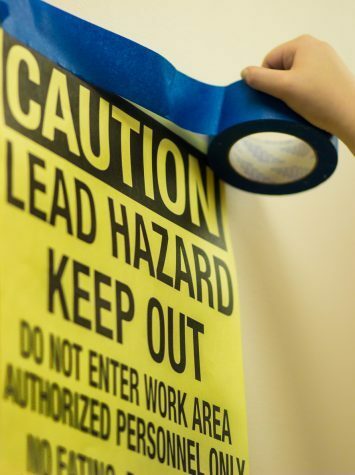 In extreme cases, lead poisoning can result in hallucinations and convulsions. Additionally, studies have shown an increase in lung cancer and stomach cancer among people with elevated levels of lead in their blood. Laboratory studies also indicate associations between lead exposure and cancers of the kidneys and brain. The angers from lead are often more hidden than obvious. And this leads us back to one of the most common dangers associated with lead, its presence in surfaces painted before 1978. This is why federal guidelines require certification for all contractors who remove lead paint; and the process of lead removal, known as “lead abatement,” is subject to strict rules. Lead abatement performed by a certified contractor will involve more expense than uncertified work. However, correctly performed renovation by a certified contractor protects your family’s health, and improves your property value. 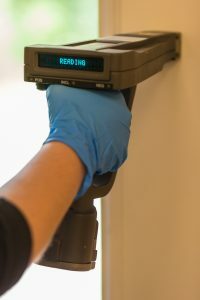 If you’re planning new paint or a renovation for an older home, a little “homework” is always wise, to find out if lead abatement has already been performed on your home. If it hasn’t and you need a certified contractor, you can always call us at RoofCrafters. RoofCrafters is an EPA certified lead abatement contractor, and we perform lead removal according to EPA guidelines, because safe lead removal methods protect the health of our clients, and the health of our workers. We can test your home’s paint for the presence of lead, and we provide free estimates.